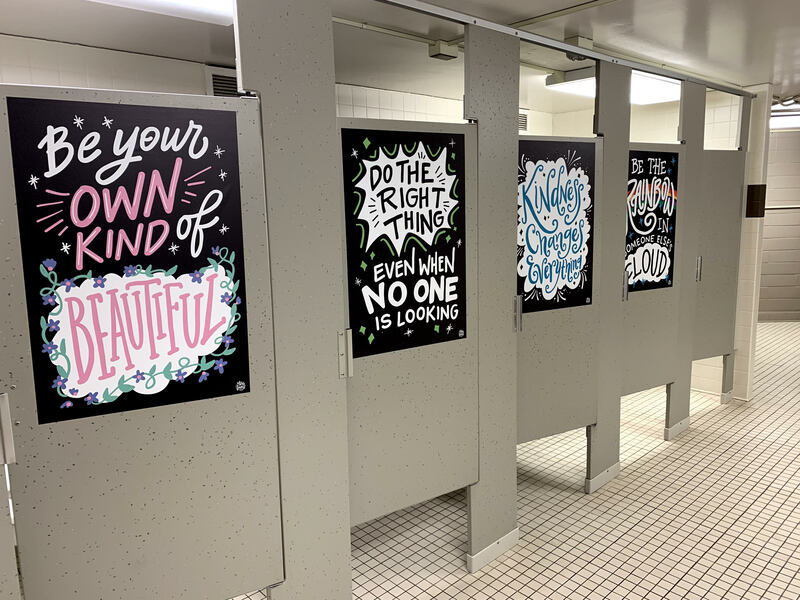 Your child may notice something different during bathroom breaks at school this week! 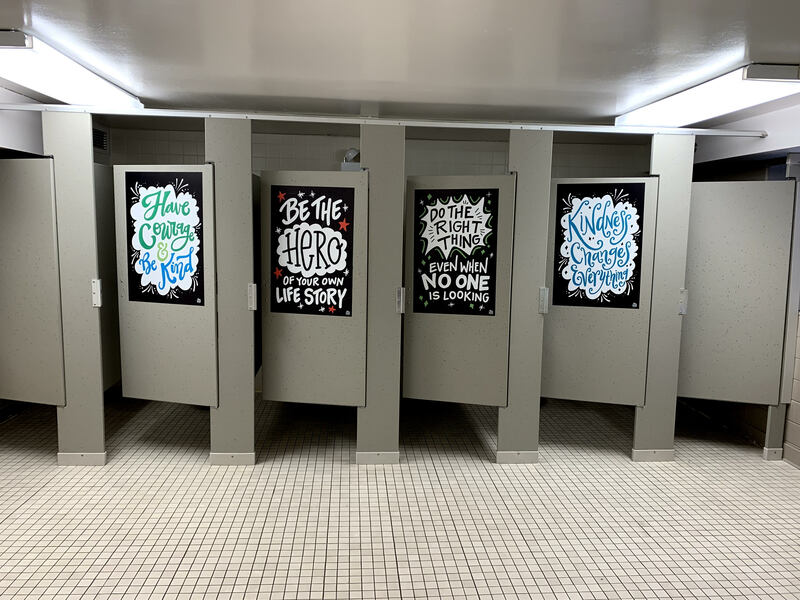 Thanks to successful fundraising efforts this year, the PTO was able to beautify some of our most used rooms with motivational vinyl posters! We hope they serve as reminders to be respectful, responsible and safe.